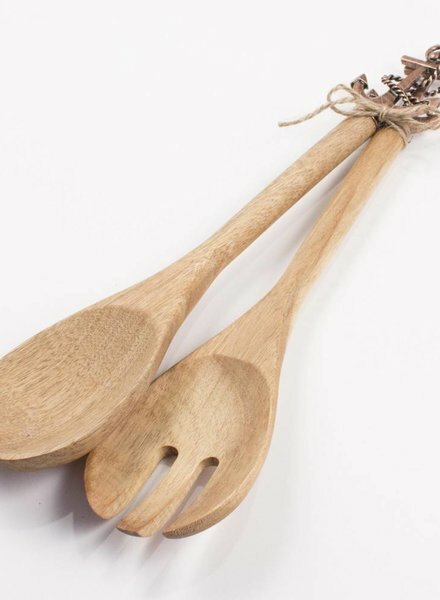 Nautical themed wooden salad servers are accented with a metal anchors. 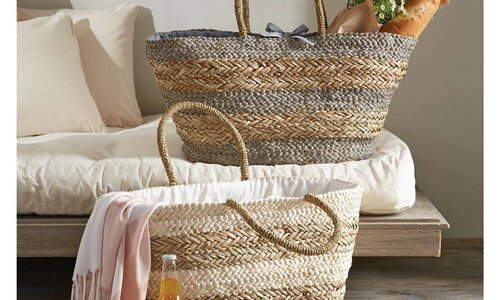 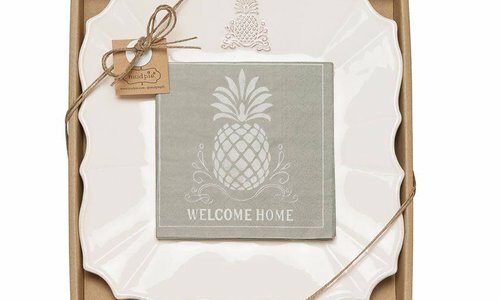 Fun and functional, they make the perfect hostess gift. 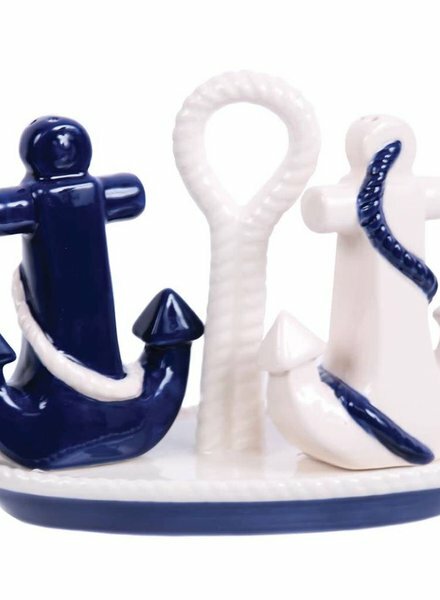 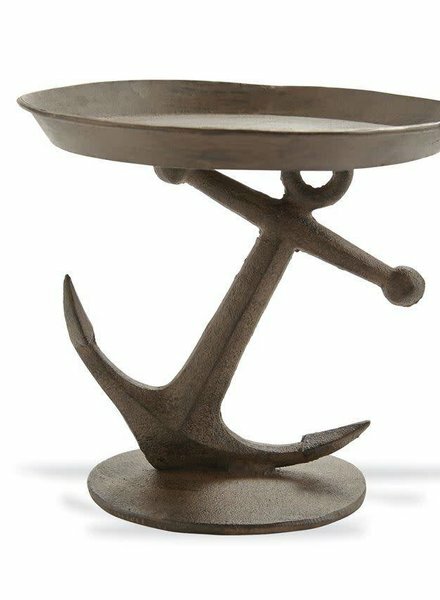 Seahshore soirees will never be the same when you serve snacks on this nautical cast aluminum pedestal server featuring large anchor base and cast iron finish. 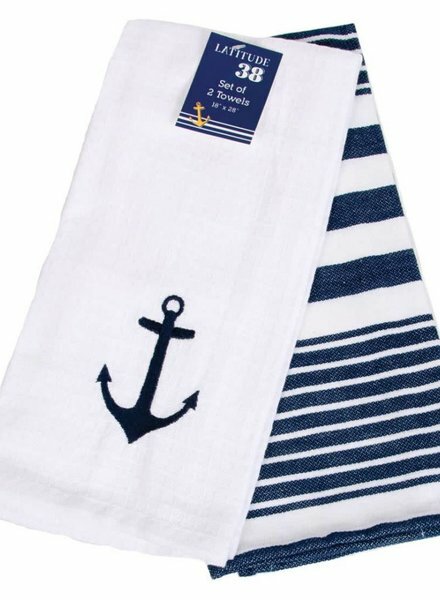 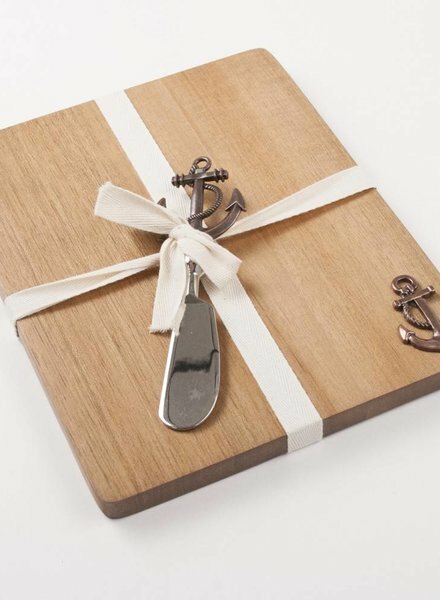 Our cutting board and spreader set with anchor detail is pretty and practical, something she'll be able to use for every party in the future. 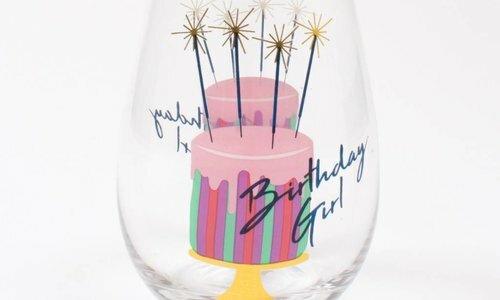 The perfect hostess gift or bridal shower present!